The 2017-2018 flu season will unfortunately be remembered for years to come. According to the Centers for Disease Control and Prevention (CDC)[i], the 2017-2018 flu season was the only season to be classified as “high severity” across all age groups. In addition, there were an estimated nearly 80,000 deaths according to the CDC — a record-breaking number by all accounts. These statistics are a devastating reminder that this viral infection can direly affect anyone. There are steps you can take to keep you and your family from getting the flu virus this season — most importantly is to get a flu shot. Dr. Moore points out that a flu shot protects more than just you. “The more people that get vaccinated, the more difficult it is for influenza to spread through the community. Getting vaccinated not only protects yourself, but those around you,” cautions Dr. Moore. Washing your hands frequently. Regular hand washing with soap and water is a critical step to ensuring the virus is not as easily spread or contracted. Avoiding close contact with anyone with flu-like symptoms. The flu virus is highly contagious, so avoiding close contact with colleagues, friends, or family members with the virus can help keep your risk of catching the flu low. If you or a family member do start to experience flu-like symptoms despite taking precautionary measures, visit your doctor’s office or an urgent care clinic right away. Today’s available flu tests are some of the fastest and most accurate yet and can be administered in a variety of healthcare settings, including walk-in clinics, urgent care centers, and doctors’ offices. Point-of-care flu tests allow healthcare providers to accurately and more quickly diagnose flu patients than ever before. A fast, accurate flu test and diagnosis can put antivirals in the hands of people when they need them most. 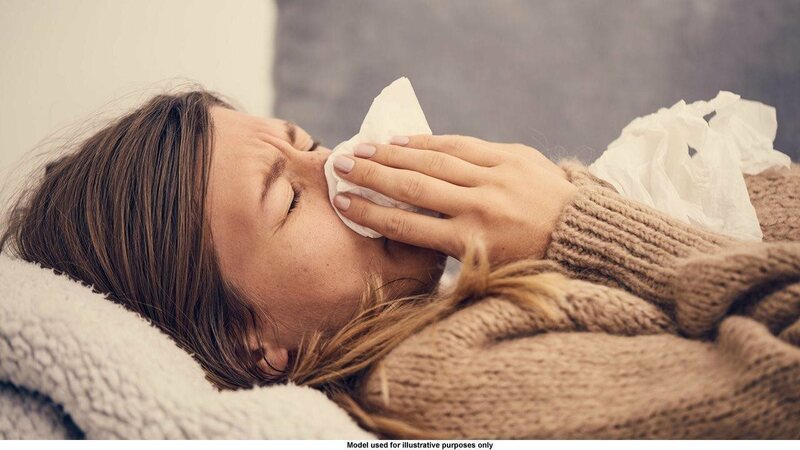 If flu symptoms are caught early, those with the flu can be prescribed an antiviral medication which helps lessen the severity and duration of the flu, but it’s only effective if taken within 48 hours of the onset of symptoms. Stay home from school or work to avoid spreading the virus and infecting others. Focus on getting plenty of rest. When you’re sick, listen to your body and don’t fight what it’s telling you that you need, whether that’s sleep, a warm bowl of chicken noodle soup, or a few days off from the gym. Stay hydrated. Pedialyte can help you feel better by providing an optimal balance of sugar and electrolytes to replenish fluids and prevent dehydration.